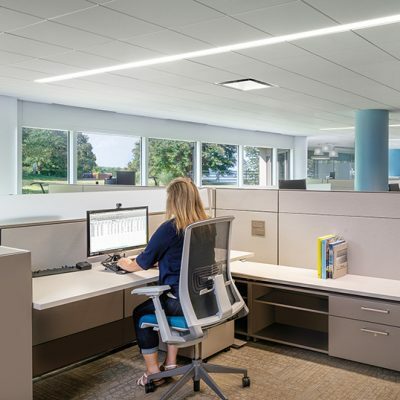 Skanska Infrastructure Development, a business unit of Skanska, hired BKV Group to provide architectural and interior design services for the renovation of their current space and 3,900 SF expansion. 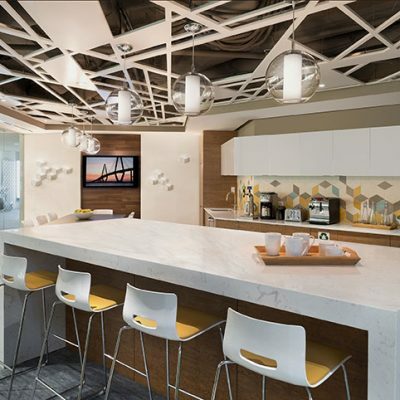 The project was executed in three phases to allow the office to function during construction. 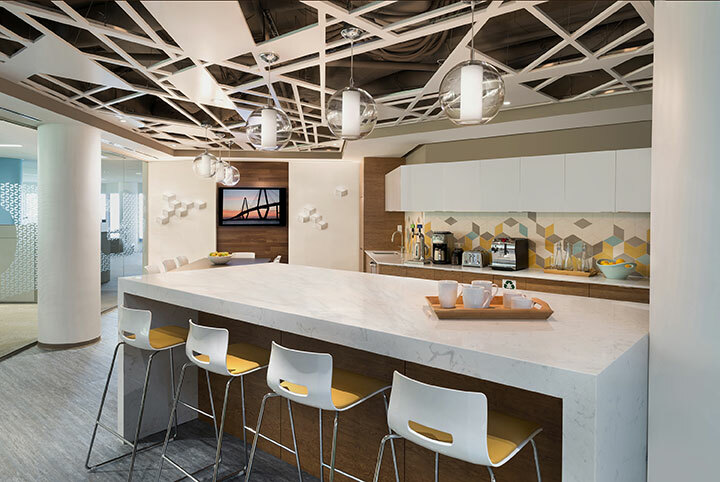 Through the use of feature materials and open workstation layouts, the design team created an open, bright environment which cultivates collaboration and team participation. 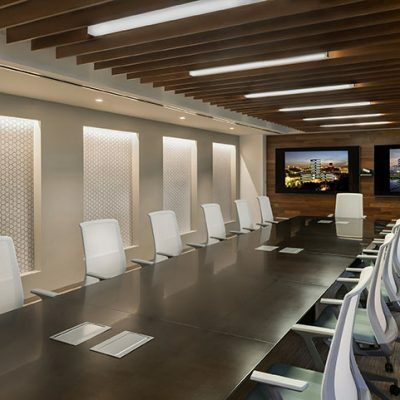 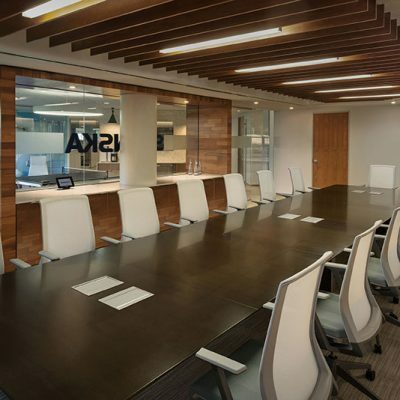 The project consisted of the development of a new state of the art board room, catering pantry with seating lounge, collaboration spaces, huddle rooms, and a new reception area equipped with a new entry. 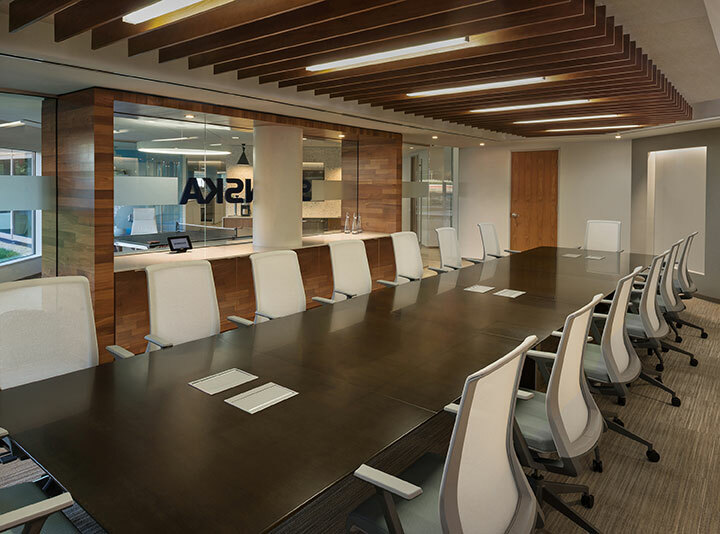 The existing workstations and conference rooms were upgraded and reconfigured to accommodate the new office layout. 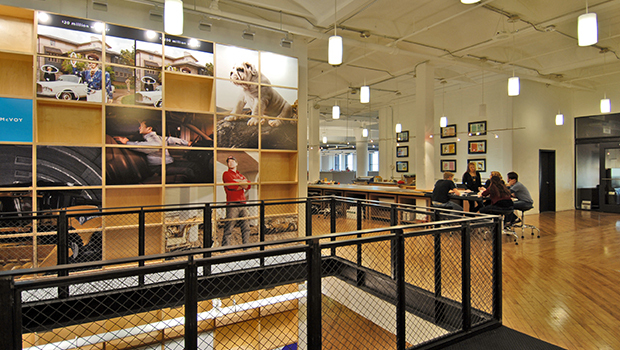 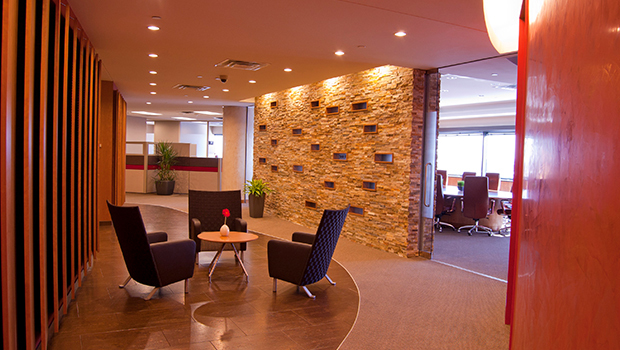 The key design criteria for the reception area was to provide a unique interpretation of the corporate branding guidelines. 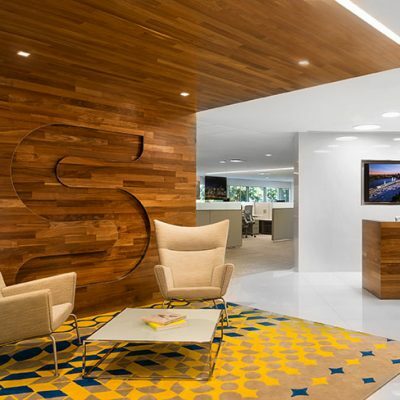 This resulted in the creation of a wood feature wall inscribed with the corporate logo. 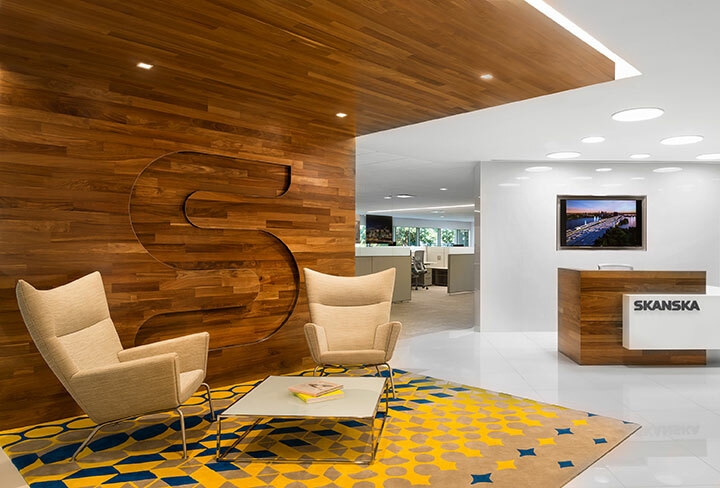 This recessed ‘S’ reflects the subtle yet significant concepts associated with Skanska. 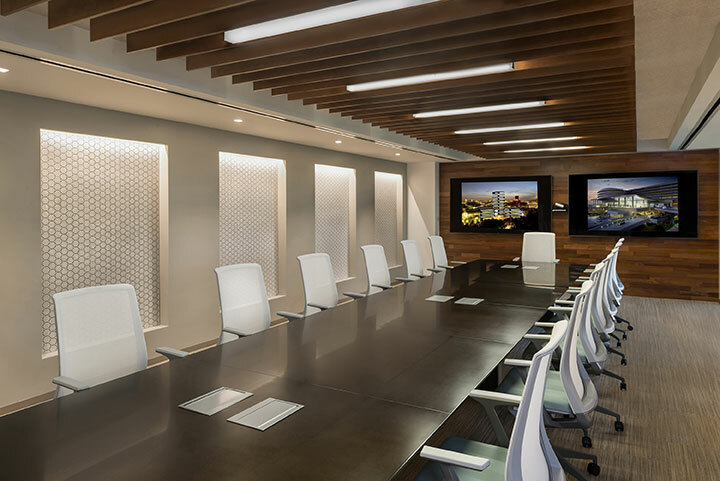 The project was designed with numerous sustainable features and has been submitted for LEED Gold certification.